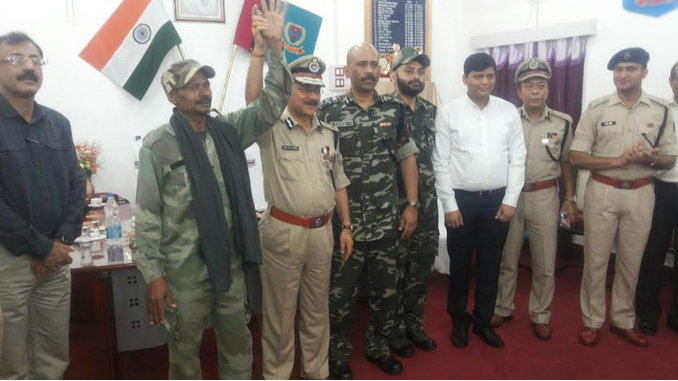 Chatra police thanks and congratulates each one of you for participating and co-operating with us in all our endeavors towards fighting the menace of Naxalism and crime. Chatra has always been one of the worst affected districts of Jharkhand as far as Naxalism is concerned. However, today the situation has changed for better in many ways. Gone are the days when police did not move out of their camps and policing used to come to a standstill after sun set. Today even a police station like Kunda (which is one of worst affected police stations in the district) is more involved in regular policing and FIR is being registered in such police stations. The peaceful completion of Panchayat Election in the district without a single Naxal violence is a testimony to the fact that none of us are actually ready to continue with such a menace. And towards this, the co-operation of the people at large has been phenomenal. 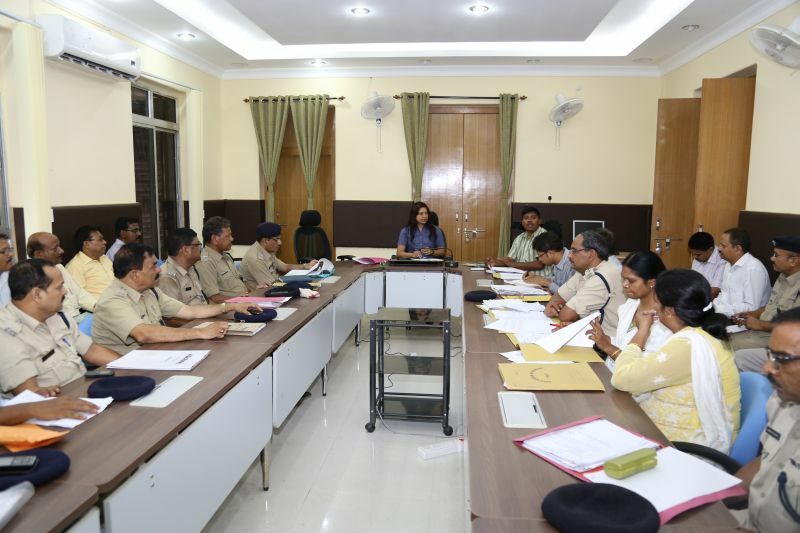 We continuously strive to make the district police sensitive towards the issues affecting the common man and at the same time we strive to become pro-active in our efforts of controlling crime. Our effort in the New Year would be to take up new challenges and complete the tasks in hand in a time bound manner. As the Superintendent of Police of the district I assure you of impartiality, sensitivity, co-operation, professionalism and above all dependability from Chatra Police. Chatra police strives selflessly to create a peaceful and law abiding community. This is a call for all of you to become partner to the developmental process in Chatra. Chatra district was carved out of parent Hazaribagh district on 29.05.1991. As a consequence it inherited the problem of Naxalism. This menace in Chatra district traces its origin back to 1977-78. In fact the first company of CPI (M) was raised in Kunda police station area of Chatra district. The topography of this district proves quite conducive for Naxals. Intermittently since 1979, Naxals have been carrying out violent incidents against the innocent civilians and Police. Another observable pattern that has emerged in the district is sprouting of many new organizations like TPC (Tritiya Prastuti Committee), JPC (Jharkhand Prastuti Committee), PLFI (People’s Liberation Front of India), JJMM (Jharkhand Jan Mukti Morcha) and SPM (Sashastra People Morcha). Their infightings have taken violence to a new level, which has escalated the civilian casualty in the area. However, in the recent past due to effective combined operations against the various Naxal groups, their activities are under control. Chatra is also known for some famous tourist spots and pilgrimages. Bhadrakaali temple at Itkhori and Kauleshwari temple under Bashistnagar police station are of great importance. The water fall at Tamasheen is a lovely picnic spot. The hot water spring at Balbal also attracts the tourists. 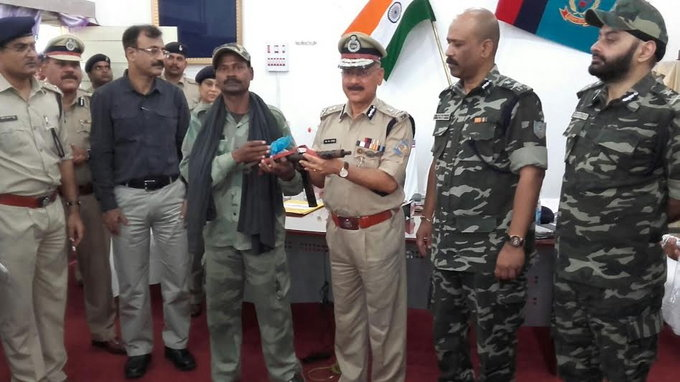 Many important arrests of Naxalite leaders and dasta members have been made and a large number of arms and ammunitions including lethal materials and devices have been recovered. 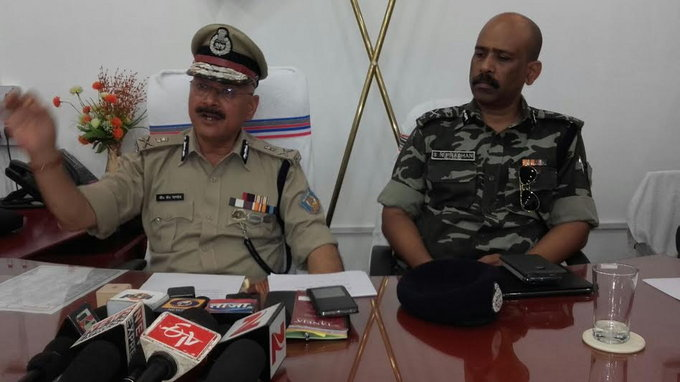 As a result, CPI (M) has of late redefined its strategy and has started TCOC (Tactical Counter Offensive Campaign) to counter the increasing police pressure. The district seems to be free from major crimes like kidnapping for ransom, killing for rangdari tax, threat for extortions, bank dacoities etc. in recent years. No state level or Inter State level gang is operating in the district. For the past couple of years Chatra has been in news for the vast extent of opium cultivation in the remote parts of the district. The efforts of the district police and district administration at large have been commendable as today this menace has been controlled to a great extent. Today people are engaged in tomato and marigold cultivation where there used to be poppy cultivation till a few years back. Through community policing we have made efforts to reach out to the common man. 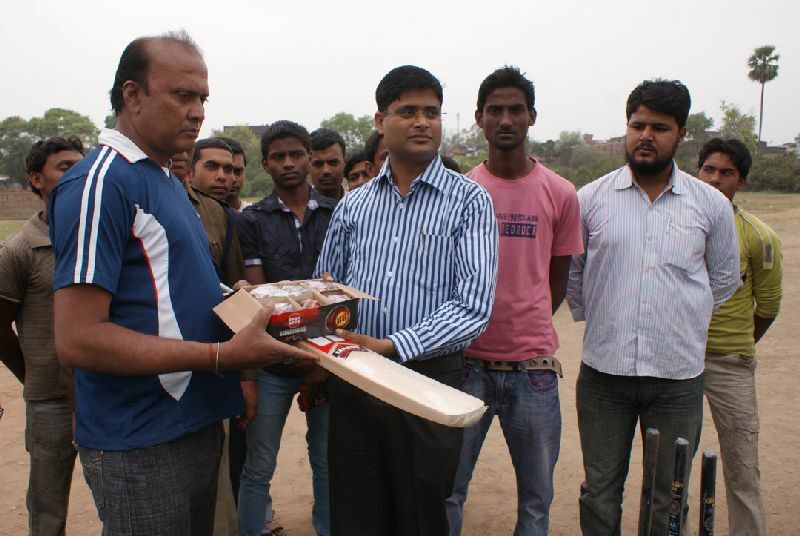 We have helped the poor and needy villagers by distributing sarees, blankets, lanterns, sports' kits etc. in the far and remote Naxal infested areas of the district. Besides these works, sports tournaments have also been organized to help and nurture the hidden talents. Efforts are on to help the poor and needy youngsters by training them in the fields of computer and driving. All this has increased the faith of public in police and helped us in getting greater cooperation from the public. Police being the law-keepers are always under direct observation and criticism. While an achievement goes unnoticed, cry against folly comes to the forefront with double force. Taking this criticism as an opportunity for self-improvement we have come a long way. Chatra police is committed to maintain public order, to give prompt and compassionate response to every call of the citizens in distress. Naxal problem in Chatra district traces its origin back to 1977-78. It is said that the first company of MCC was raised in Kunda PS of Chatra district. Along with Jehanabad, Aurangabad and Gaya districts of Bihar, Naxals came here and made their foothold in early phase. The topography of this district proved quite conducive for them. This district has seen many major incidents carried out by Naxals. Important amongst them in 2005 death of 12 police personals including SDPO with Assistant commandant of CRPF in Baniyadih Kunda PS, in 2002 death of 10 police personals including one sub inspector in Sanghari Ghati in Sadar PS Chatra and in 1999 death of 6 police personals including officer in charge of Kunda PS. Besides this they have killed one or two police personals several times. They have been killing innocent civilians intermittently since 1979 and have made number of attempts to blast police stations and pickets unsuccessfully. Presently there are several extremist outfits operating in the district. Their infightings have taken violence to new level. This has also increased the civilian casualty in the area. CPI (M) has also redefined its strategy and has started TCOC (Tactical Counter Offensive Campaign) to counter increasing police pressure. At present due to effective combing operations against the various naxal groups, the Naxal activities are under control. As Chatra shares its borders with Gaya (Bihar), it becomes all the more conducive a place for the Naxal organizations to flourish. In Jharkhand this district shares its borders with Palamu, Latehar, Hazaribag and Ranchi. The district seems to be free from major crimes like kidnapping for ransom, killing for rangdari tax, threat for extortions, bank dacoities etc. in recent years. No state level or Inter State level gang is operating in the district. For the past couple of years Chatra has been in news for the vast extent of opium cultivation in the remote parts of the district. The efforts of the district police and district administration at large has been commendable as today this menace has been controlled to a great extent. Today people are engaged in tomato and marigold cultivation where there used to be poppy cultivation till a few years back. PS. / Registered Case No. 2 Sadar Ps Cs:-20/17 Act:-272/273/290/414/34 & 47(A) Dt:- 2.1.17 1.Suresh Kr. 5 Itkhori Ps Cs:- 10/17 Act:- 461/379 Dt:-25.1.17 1.Dhiraj Kr . 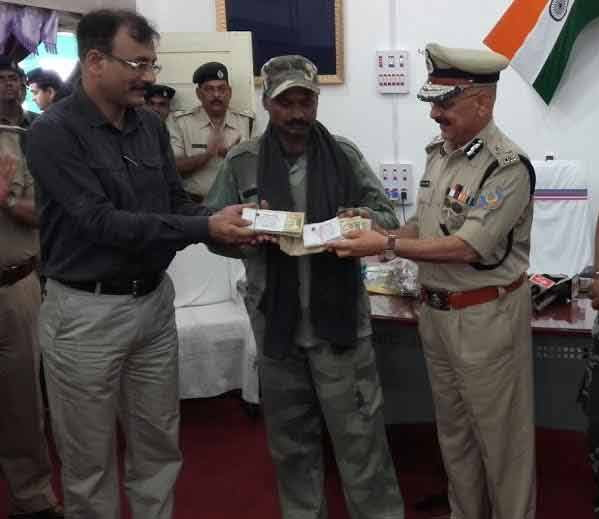 2 Huntergunj PS C/S:-8/13 Act:- 302/34 IPC Dt:- 19.1.13 1.Jayram Pd. s/o:-Siyaram Pd. 2 Tandwa PS case no. 04/11 U/S. 18/20/22 N.D.PS Act. 1. Hulash Yadav, S/O Late Guthali Yadav, Vill.- Honhe, PS- Tandwa, Dist.- Chatra. -- -- -- -- Opium -600 gm. 3. Garu Santan Ganjhu, S/O Jagmohni Ganjhu, All of Vill.- Lawalong, PS- Lawalong, Dist.- Chatra. -- -- -- -- Looted property were recovered. 7 Lawalong PS case no.- 08/11. Dt. 25-04-11. U/S. 395 IPC 1. Gupteshwar Pandey, Vill.- Potam, PS- Lowalong, Dist.- Chatra. -- -- -- -- Looted property were recovered. 5. Raju Yadav, S/O Bajir Yadav, Vill.- Piprakoni, PS- Pathargarha, Dist.- Chatra. -- -- -- -- Looted Jewels and cash were recovered. 3. Raju Yadav -- -- -- -- Looted article form house were recovered. 16 Huntergunj PS case no.- 97/11 Dt. 10-07-11. U/S.- 15/22 N.D.PS. Act. 1. Manowar Hussain, S/O Md. Mintutshah, Vill.- Karelibag, PS- Bashisht Nagar, Dist.- Chatra. -- -- -- -- Poppy seeds -60 kg. 22 Piparwar PS case no.- 39/11 Dt. 01-09-11. U/S.- 25(1-b)a/26/35 Arma Act. 1. Rajdeo Ganjhu, Vill- Kutil, PS- Kunda, Dist.- Chatra. 2. Ranjeet Kr. Sony, S/O Dhiraj Prasad, Vill.- Neem Chowk, PS- Tandwa, Dist.- Chatra. 6. Shilpa Devi All of Vill.- Manpur, PS- Muffasil, Dist.- Gaya(Bihar) -- 02 -- -- Jewels of Gold and Silver. 31 Lawalong PS case no.- 17/11 Dt. 14-10-11. U/S.- 15/17/18/22 N.D.PS Act. 1. Prakash Keshri, S/O Kameshwar Keshri, Vill.- Kochi, PS- Lawalong, Dist.- Chatra. -- -- -- -- Doda- 50kg. 32 Tandwa PS case no. 58/11 Dt.02-10-11. U/S.- 20/22 N.D.PS. Act. 1. Mithlesh Kumar Singh, S/O Late Baran Saw, Vill.- Birbir, PS- Tandwa, Dist.- Chatra. -- -- -- -- Cannabis(Ganja)-700gm. 38 Rajpur PS case no.- 42/11 Dt. 17-11-11. U/S.- 18/20/22 N.D.PS. Act. 1. Sunil Yadav, S/O Jhari Yadav, Vill.- Kendua, PS- Rajpur, Dist.- Chatra. -- -- -- -- Cannabis(Ganja)-02 Bora. Bolero No.-Jh01AH-1515, JH-02M-6010, Damfar no. T63, T85, T66, T52, T54, T32, T42, T44, T45, T43, Water Tanker no.-WT5, WT7, Jawel No-S6, Wheel dozer no.-D08 and Truck No.-JH13A-1599 has burnt completely and partilly. 10 Pratappur PS case no.-60/12, Dt. 18.09.12, u/s.-147/148/149/307/353/124(a) IPC, 10/11/12 UAP Act, 25(1-b)a/26/27 Arms Act. Mao. 1 Huntergunj PS case no.- 06/11, dt 25-01-11, u/s.- 415 Expl. 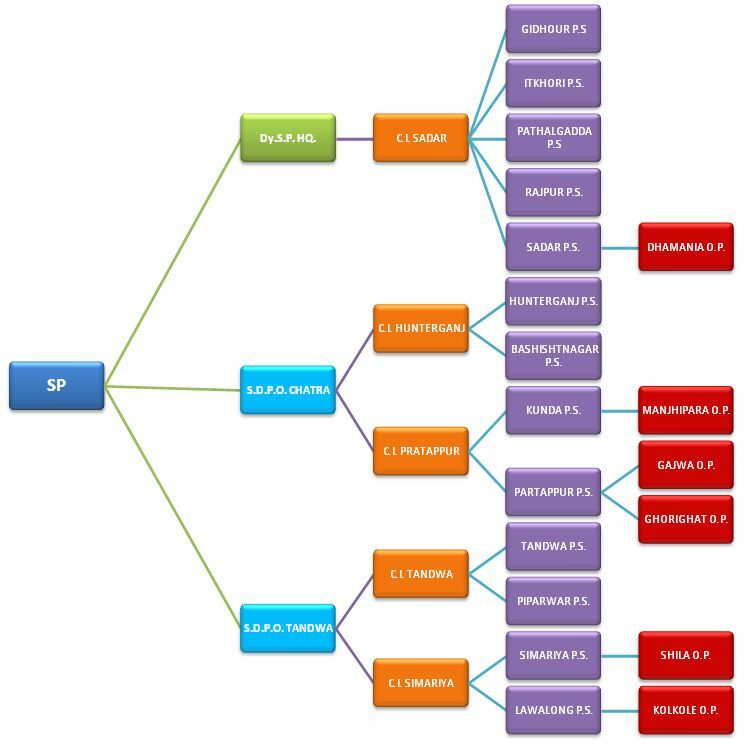 substance Act & 17(i)(ii) CLA Act & 10/13 UPA Act. -- -- -- Explosive substance -150 kg. -- Rod-20 kg. 2. Jatu Yadav, S/O Late Jhaman Yadav, both of vill.- Titihia, PS- Pratappur, Dist.- Chatra. -- -- -- -- Dairy and Mobile no of extremist. Through community policing we have made efforts to reach out to the common man. Our effort has been to bridge the gap between the people and the police. For this we have been trying to make the officers and the men at the police station level more sensitive towards the issues affecting the common man. To fight the Naxal organizations and various other menaces in the district, it goes without saying that the help and co-operation of the common people becomes of utmost importance. We continuously strive to be more people friendly through various activities under community policing. 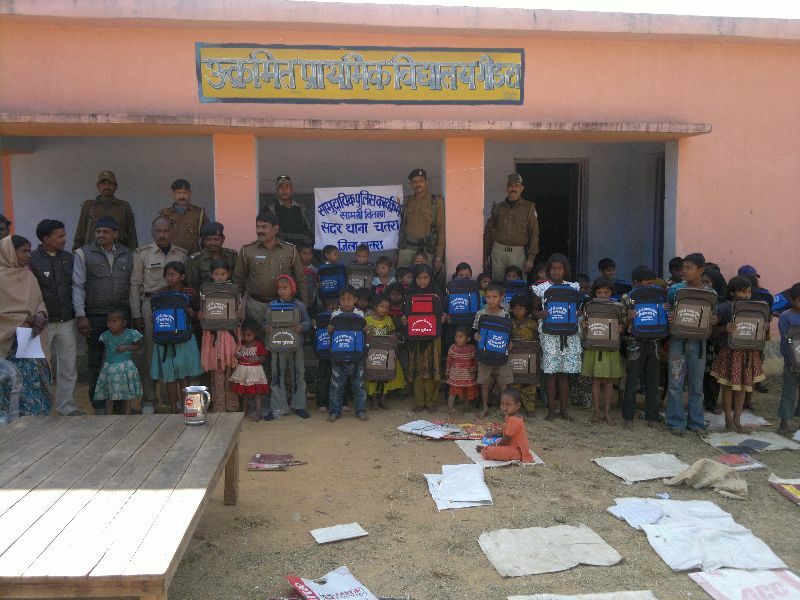 We have helped the poor and needy villagers by distributing sarees, blankets, lanterns, sports' kits etc. in the far and remote Naxal infested areas of the district. Besides these works, sports tournaments have also been organized to help and nurture the hidden talents. Efforts are on to help the poor and needy youngsters by training them in the fields of computer and driving. All this has increased the faith of public in police and helped us in achieving greater cooperation from the public. 8 Chatra Pokhraj Yadav S/O Late Jaggu Yadav Vill- Tilhet Tola Maluahi, P.S.- Hunterganj, District- Chatra CPI (Maoist) Member 01-11-2012 Ex-Gratia – Rs. 2,50,000/- House bldg.- Rs. 50,000/- Total Rs.- 3,00,000/- 1- Vocational training. 2- Land allotment for house bldg. 3- House rent. 4- Tution fee. 5- Govt. job. 6- In lieu of arms.